All photos courtesy of G-RO. 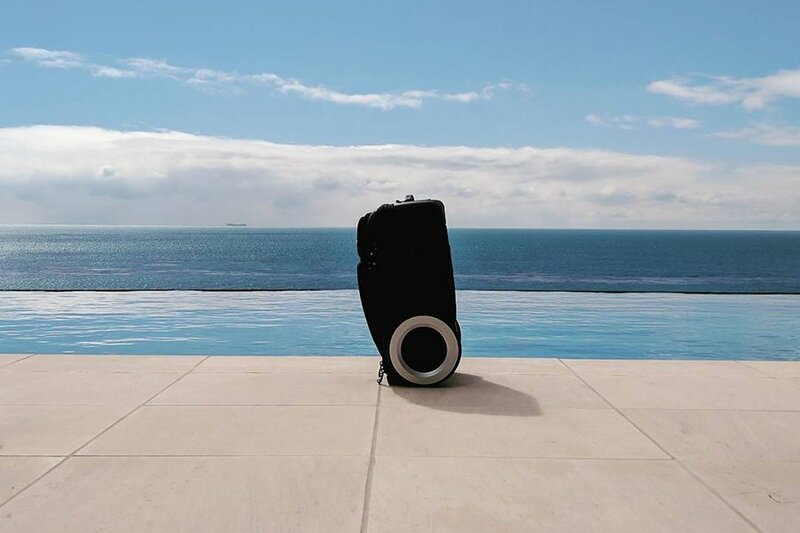 What started as a successful is now a luggage company selling suitcases that are all about the wheels. We took one out for a spin. What's the first thing you notice about a suitcase? 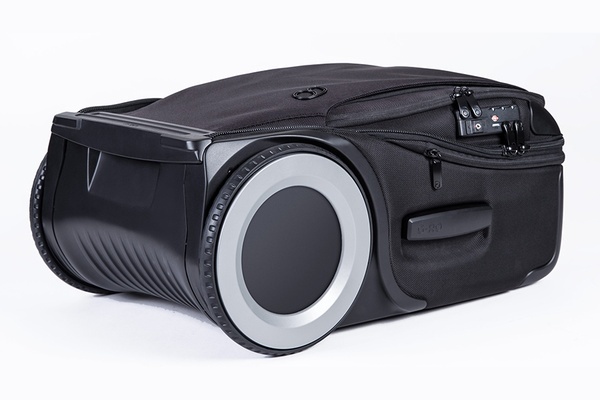 On the new $450 carry-on from , developed by New York-based Shalgi Design Studio, it's the axle-less, impact-resistant wheels built into the bag's exterior. The futuristic design, which resembles a Segway, frees up room in the interior packing space, where normal wheels are rooted, and makes the suitcase lighter to pull by stabilizing its center of gravity. I tested out a G-RO recently, and for the most part, this checked out. While traveling around Ireland, I was able to fit five days' worth of clothing in the main compartment, including an extra pair of shoes and a suit packed in the built-in garment bag. The incredibly useful outer pockets fit all my tech essentials (cords, camera accessories, and laptop), and could have replaced my backpack (if I didn't love wearing backpacks so much). Using the four-stage telescoping handle, maneuvering G-RO was a pleasure on both crowded airport surfaces and bumpy Dublin sidewalks, despite the heavy payload. There were drawbacks, though. The carry-on doesn't swivel, a problem if you're used to that feature. It tends to fall over if not placed perfectly upright. (That's the price to pay for smooth, all-terrain wheels.) And it isn't as easy to carry as it is to pull. The aerospace-grade polymers, built-in battery pack (for charging phones), and location tracking hardware all contribute to G-RO's weight. And the side handle, which can only be gripped halfway, isn't the most comfortable. G-RO is a great choice for heavy packers who want a carry-on, frequent fliers looking for an all-purpose piece of luggage that won't break easily, and travelers who want to rock a bag that stands out from the rest. G-RO is available for $450 on .